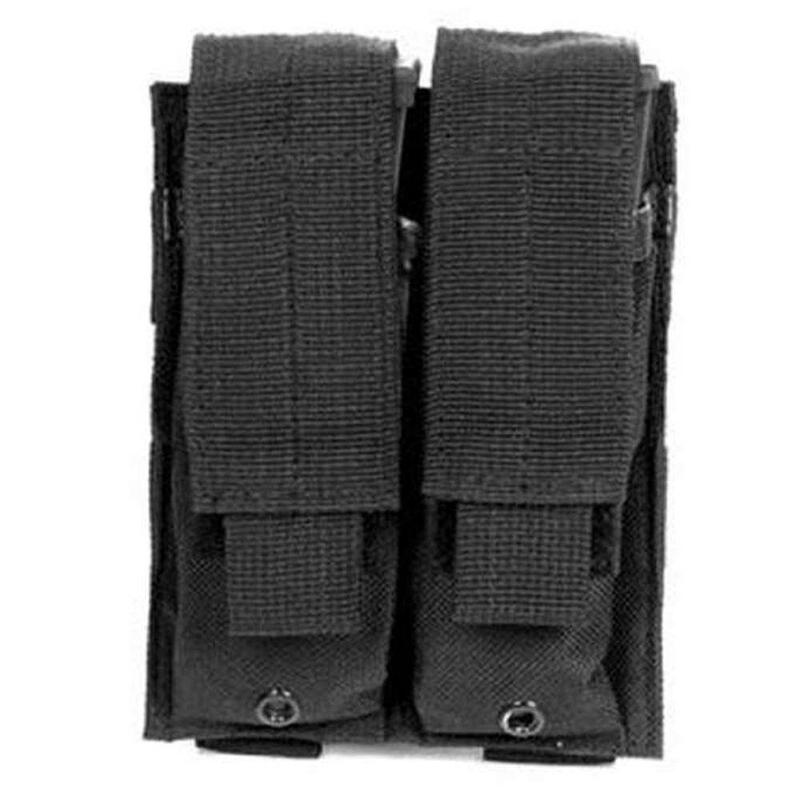 Buy Cheap Ncstar CVP2P2931B Double Pistol Black Mag Pouch|ReplicaAirguns.ca | Easter Weekend Sale! 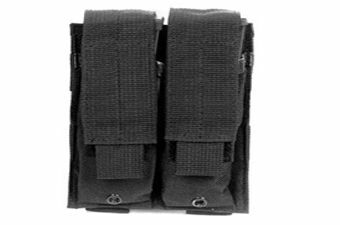 The Ncstar Vism Double Pistol Magazine Pouch (Black) is a great way to make sure you have all the ammo you need to have a successful day. It holds virtually any standard double stack pistol magazine. It is made with PALS straps to attach it to your tactical vest, backpack, or compatible gun case. It has elastic belting that secures the magazines, while the adjustable/removable exterior flaps protect magazines from excess debris. Made using an incredibly durable PVC material, the Vism Double Pistol Magazine Pouch is designed to last.